Find images (or use those posted below) and place around room in stations. Print RMC Health's Analyzing Influences Poster and post in room. It can be found here. Describe a variety of ways we are influenced. Introductory Activity - 20 min. 2. Is this influence positive (good) or negative (bad)? Introduce the Skill of Analyzing Influences - 10 min. Show the image of the Analyzing Influences model. Explain that step 1 is about Identifying a Situation. Ask students what situations they find themselves in in which they need to analyze if an influence is positive or negative. Have a few students share out. Step 2 is about identifying whether the influence is internal or external. Define internal as influences that come from inside of you. External influences come from outside of you. However, share that you don’t have a choice as to the external influences around you- you are going to face multiple influences, especially around risk behaviors. Some positive, some negative. You can only control your reaction to influences, which is internal. In groups, ask students to come up with as many internal and external influences they can. Maybe get them started by giving a few examples: Internal: wants, feelings, perception of social norms. External: peers, culture, policies. As they share, create a T-chart visually (on chart paper or board) to post up throughout unit. Explain that Step 3 is about choosing whether the influence (internal or external) is positive or negative. Final step (4) is about making a decision about the influence and reflecting on it. to not to be fooled by false or exaggerated information, etc. Tell students the next week or so we'll be spending time on the skill of analyzing positive and negative influences as well as internal and external influences. Share this scenario as a class to begin and answer the following questions. Kat is walking down the hall and hears a fight between two boys in her sophomore class. She runs to see what is going on and sees that everyone is standing in disbelief. As the fight escalates to being physical, some bystanders are shouting and encouraging the boys to fight. Kat always believed that fighting was stupid and knows these boys are showing off. She’s always believed in peaceful ways to address conflict. She doesn’t want to get into the middle of the fighting, so instead, she calmly tells the bystanders to stop yelling and encouraging the fighters. As she’s doing this, a teacher arrives and breaks up the fight. Many witnessed all the events, including seeing Kat step in to deter the bystander behavior. Final Activity - 15 min. Have students read these two other scenarios (or develop a few on your own) in small groups and answer the questions. Your friend Shavon shows you a photo she just received from her boyfriend that shows him not fully clothed and holding a beer. Not only do you feel like this is inappropriate for her to show you, but you’re concerned that she thinks it’s cool. She asks you what she should send back in return since he’s asked for her to reciprocate with a photo. You tell her that you think the photo is inappropriate, that her showing you isn’t cool and that if she sends something back, she needs to be prepared that it might get around and how would she feel about that. Shavon thinks about it and decides she’ll send a photo of herself, but an appropriate one, fully clothed. Who was influenced who in this scenario? Is Shavon being influenced internally or externally? Is it a positive or negative influence? If negative, how might it impact others’ behaviors in the future? 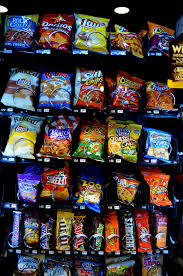 After school events, there is a lot of pressure on parents and trusted adults to bring snacks for the team/band/club. Jose wants his mom and aunt to bring soda and bags of chips, like Doritos. Jose’s mom is trying to persuade Jose that he and his sister should bring something healthier, like fruit and water. Jose feels like his friends will make fun of him if his mom and aunt bring apples and water. Who was influencing who in this scenario? Is Jose being influenced internally or externally? Have students write down independently all the ways they could be positively influenced by peers, technology, religion, parents, schools, laws, media, culture, etc. Either collect these or use as a point of discussion next lesson.